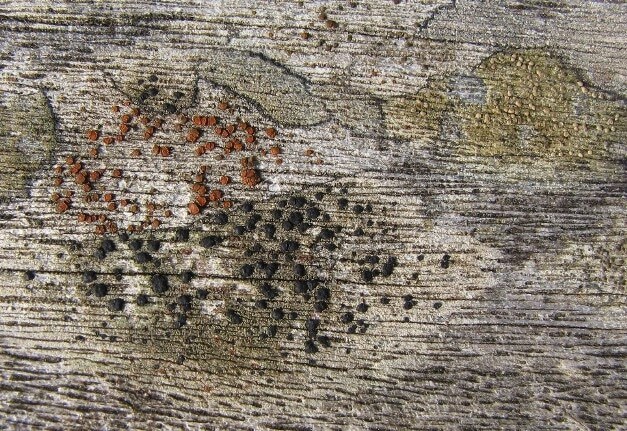 Caloplaca ferruginea (orange), Lecidella elaeochroma (black), Lecanora symmicta (grey-green). Photo Ian M. Evans. Names provided by Dr Anthony Fletcher.